Note: We are providing information on what may be expected in a typical spring. The cold and damp spring weather that has been impacting many regions of Canada may de-lay some of the events described below. The ubiquitous, yellow dandelion is one of the most conspicuous plants in May. 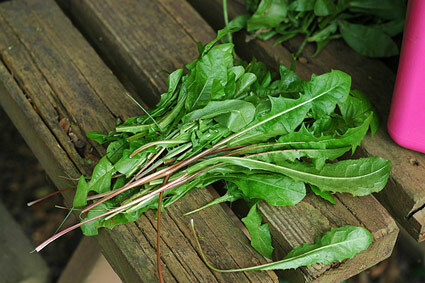 Dandelions are both damned as a non-native lawn weed, and sought after as a delicious edible. Some of our most common dandelions, the Common Dandelion, Marsh Dandelion, and Redseeded Dandelion were introduced from Europe.. These introduced species have certainly ‘taken root’.. The taproot is deep, twisted, and brittle, making them hard to remove and allowing pieces left behind to regenerate. Seed can be produced through pollination and fertilization and without (apomixis). After flowering, the dried flower head drops and the sphere of seed-bearing parachutes lifts up. 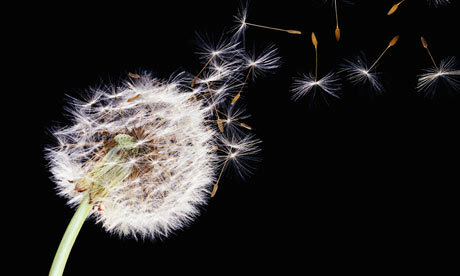 These puffy white seed heads, when blown by the wind or by you, can start 200 or more new plants. Dandelions provide copious amount of pollen and nectar to insects. Watch a dandelion and you’ll see how insects are attracted to them. 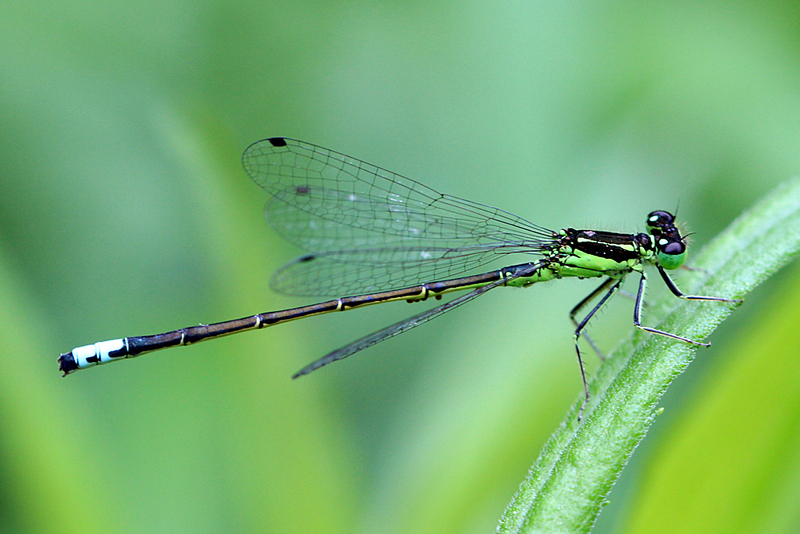 Insects see flowers as shining points of ultra-violet light, which is invisible to humans. In ultra-violet, dandelions shine with a tempting bull’s eye pattern. Botanists speculate that insects abandon other plants during the dandelion peak. This almost certainly negatively effects the ability of other plants to set seed, and could theoretically lead to an eventual shift in flowering dates. On the plus side, dandelions are largely responsible for the first honey of the season, thanks to abundant pollen and nectar provided to honey bees. 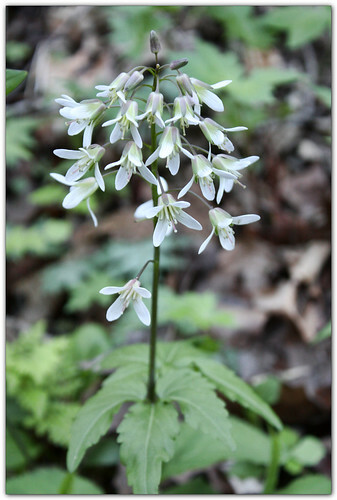 Not only tasty to insects, the flowers are a favourite spring food of black bears. Dandelions are also harvested by humans. 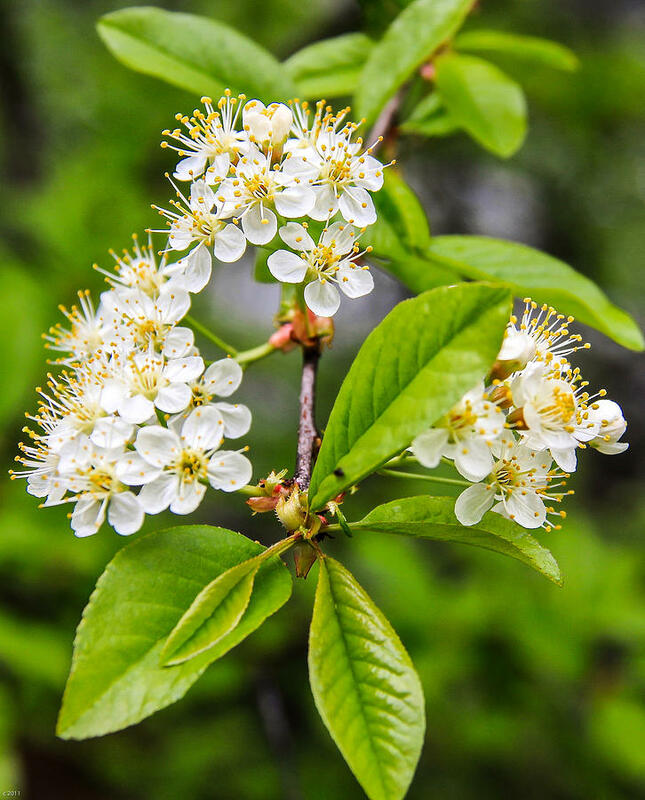 Spring leaves are delicious in salads or stir-fries, the blossoms are yummy fried , and a coffee substitute can be made from dried and roasted roots. Dandelions also have medicinal properties. Before tasting make sure to wash plants, especially if lawn chemicals have been applied to the area. Common plant names are often telling of past folklore. The modern French name “Pissenlit” meaning “piss in bed” points to the gentle diuretic effect of root and leaf tea. “Dandelion” comes from the Old French “Dent-de-lion,” meaning “lion’s tooth,” describing the deeply toothed, lance-shaped leaves. Note: Warmer temperatures and longer days continue to unleash new growth, new arrivals, and change. Too much is happening to mention it all here! Let us know what you see. The flood of migrant birds from the tropics continues. At their peak should be Magnolia Warblers, Black-throated Blue Warblers, Warbling Vireos, and Wood Thrushes. Just beginning to arrive are Wilson’s Warblers, Common Yellowthroats, Bay-breasted Warblers, Tennessee Warblers, Philadelphia and Red-eyed Vireos, Swainson’s Thrushes, and Indigo Buntings. Most bird species migrate at night when there is less danger from predators, and use daylight for feeding and resting. Departing for more northern regions should be American Pipits, White-crowned Sparrows, and Solitary Sandpipers. As of May 1, there have been sightings of Ruby-throated Hummingbirds in the far southwest. Keep looking and get those feeders out! Things are getting noisy as new frogs join the chorus. Green Frogs add their banjo twang. Bullfrogs play bass. Gray Treefrogs trill. And Mink Frogs go ‘took-took-took’, like rapid, hollow tapping. Spring Field Crickets offer up the first insect music. 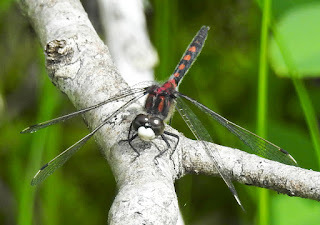 American Emeralds, Hudsonian Whitefaces, Four-Spotted Skimmers, Boreal Bluets and Eastern Forktails (female) are common May dragonflies and damselflies zooming around wetland habitats. We continue to wait for the next generation of Monarchs. The butterflies remain stalled in the south-central United States.You can see the variations in early May distributions here. 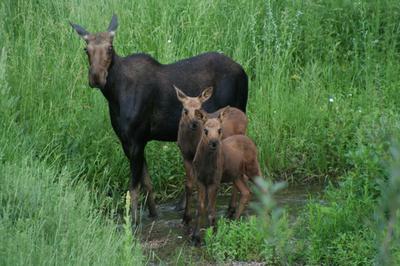 Female Moose are giving birth to one or two calves. An island is often the nursery of choice. 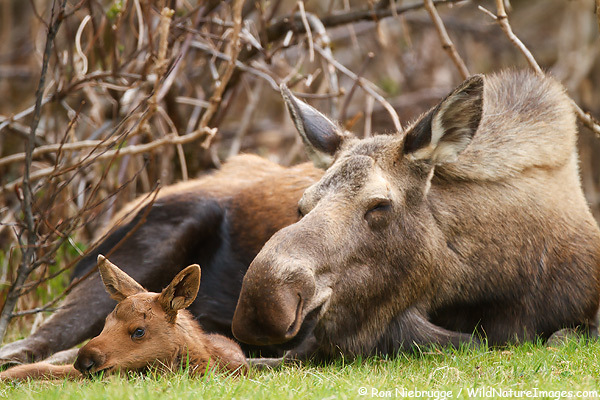 Unless they are preyed on, the newborn calves will stay with their mother until the following spring when she will banish them before giving birth again. The colourful Iowa Darter, a non-game species belonging to the perch family, is spawning. The males are so vividly coloured that you may mistake it as a tropical aquarium escapee. Most minnow species, including the popular bait minnow the Creek Chub, are also spawning this month. 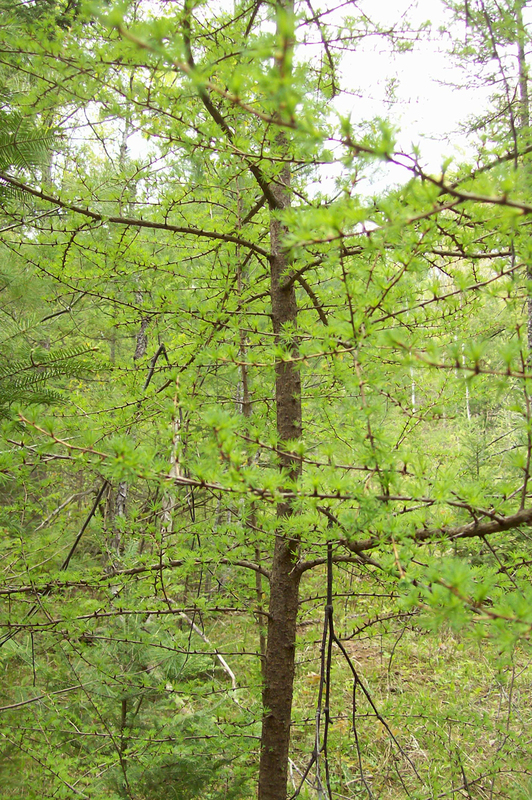 Spring colours don’t get the as much press as the fall showing, but leafing out Tamaracks offer light greens, the newly flowering Sugar Maple appears yellow, and the white blossoms of Pin and Choke Cherries provide subtle spring colours to appreciate and paint. 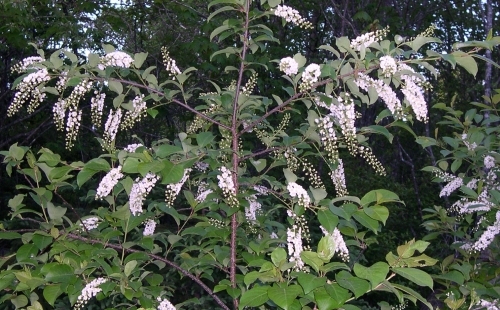 When cherries bloom, mosquitoes that feed on the nectar are not far behind. 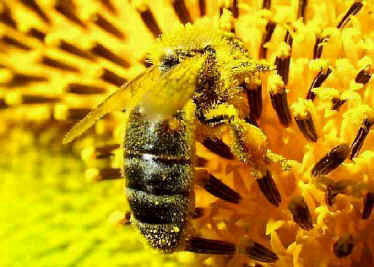 Both sexes feed on nectar, and it is only the female that requires the protein in blood for egg development. There are 62 species of mosquitoes found in different parts of the country. Luckily, many do not bite humans, opting for other mammal, reptile and/or amphibian hosts. Although annoying, mosquitoes play important roles in the ecosystem. 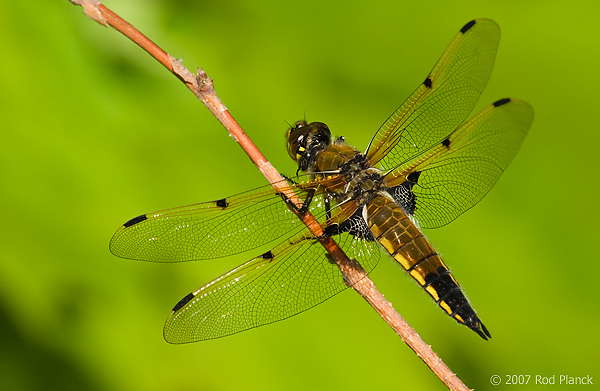 Larvae feed on decomposing matter and serve as food for fish and aquatic insects, while adults are consumed by insect-eating birds, bats, frogs, and other insects. White and Painted Trillium, Wild Strawberry, Pussytoes, Early Saxifrage, and Two-leaved Toothwort are usually beginning to bloom at this time. Viewing of spring ephemeral (quickly fading) wildflowers is still good before full leaf-out casts the forest floor in shadow. 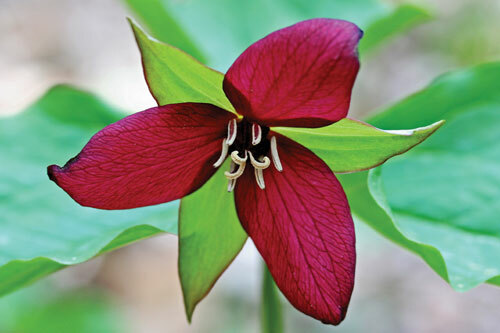 Look for Red Trilliums and later in the month Jack-in-the-Pulpits. Take a whiff. 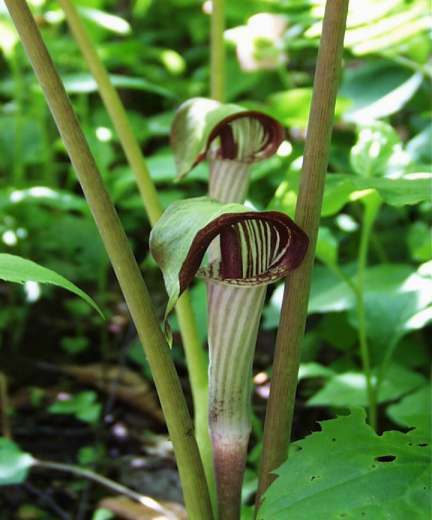 These plants use their colour and surprising putrid odour to lure pollinator flies with the false promise of rotting meat. 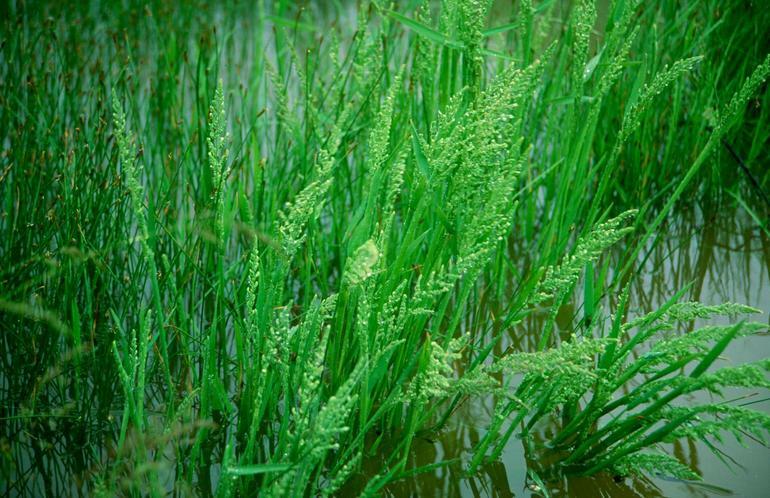 Often overlooked are native sedges, grasses, and rushes, collectively called graminoids. They also have flowers – tiny ones. Carex pensylvanica (a sedge), Oryzopsis asperifolia (a grass) and Luzula multiflora (a rush) flower in the spring and are found in woodland habitats. 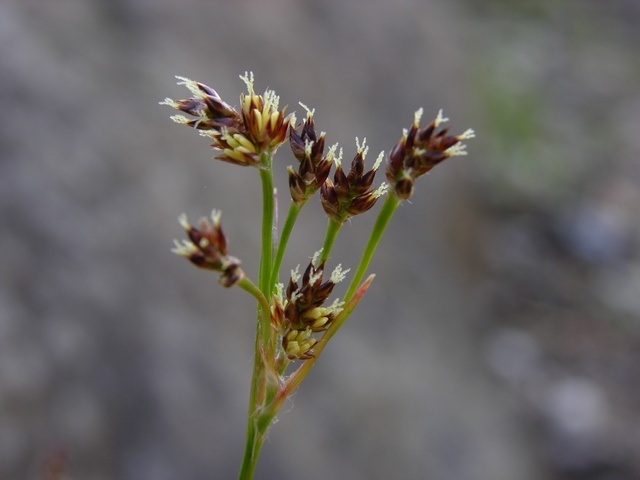 Remember, sedges have edges (stems are normally triangular in cross-section) while rushes are round. Grasses are, well, grass-like. The moon goes gallivanting again, meeting up with Mercury the morning of the 13th, and visiting with Venus at dusk on the 17th. And if you have a nice, clear sunset, you can look for the legendary green flash.